This lightweight moisturizer hydrates the skin while balancing oil production and preventing breakouts. 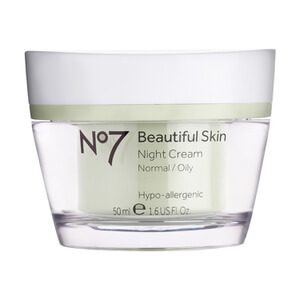 This cream provides 24 hour moisturization, formulated to balance the skin leaving it matte and shine free. Proprietary microsponges help protect the skin from the sun with SPF 15 and Broad Spectrum UV protection. Leaves skin with a healthy, radiant appearance. Use as part of your daily skincare routine. Aqua (Water), C12-15 Alkyl Benzoate, Glycerin, Octocrylene, Butyl Methoxydibenzoylmethane, Isostearyl Isostearate, Cetearyl Glucoside, Butyrospermum Parkii (Shea Butter), Dimethicone, Tribehenin, Ethylhexyl Salicylate, Ammonium Acryloyldimethyltaurate/VP Copolymer, Aluminum Starch Octenylsuccinate, Phenoxyethanol, Cetearyl Alcohol, Potassium Cetyl Phosphate, Bis-Ethylhexyloxyphenol Methoxyphenyl Triazine, Tocopheryl Acetate, Rosa Moschata Seed Oil, Parfum (Fragrance), Methylparaben, Dimethiconol, Sodium PCA, Xanthan Gum, Diethylhexyl Butamido Triazone, Ethylparaben, Ascorbyl Glucoside, Tetrasodium EDTA, Magnesium PCA, T-Butyl Alcohol, Dipropylene Glycol, Zinc PCA, Biosaccharide Gum-1, Potassium Hydroxide, Manganese PCA, Simethicone, Potassium Sorbate, Ascorbyl Palmitate. When I'm strapped financially, and can't invest in some of my other faves, this one does a great job. No oiliness, no breakouts. I don't notice any great improvement in my skin, but I know at least I'm getting SPF, and hydration. It works until I can get something better.